The first light of sunrise reaches into the 150m deep gorges of Kalbarri National Park's, Z-Bend. This photograph captures the gum tree's contrasting not only in colour, but also in light against the beautiful rich red walls of the gorge still in the shade. I am absolutely in love with the Kalbarri region and feel so lucky to have captured a number of spectacular moments in the region. 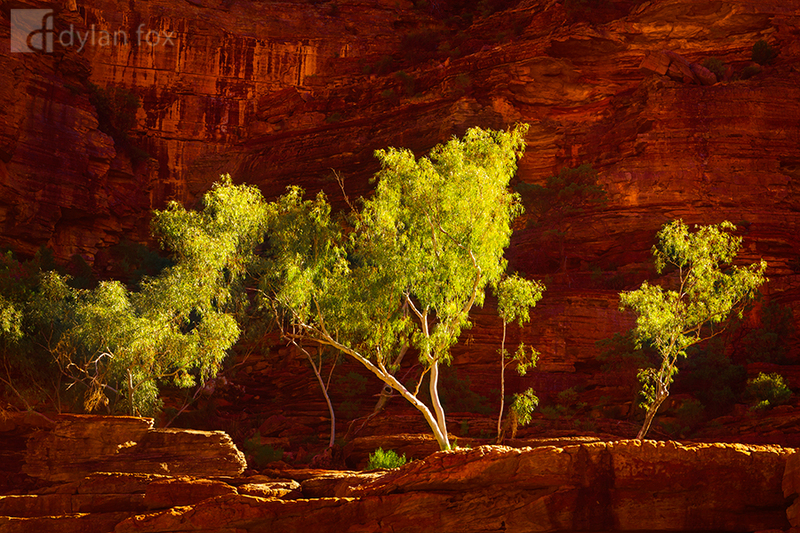 Secure your limited edition, Kalbarri photographic print, 'Basking In Light', by selecting your desired print size in the menu to the right.